​Join Martine Bailey, author of Erddig-inspired An Appetite for Violets, as she unveils her new historical murder mystery, The Almanack. She will explore her researches into Georgian Cheshire, and the lost world of riddles and prophecy our ancestors once lived by. I was delighted to be invited to talk at Chester's award-winning Storyhouse arts venue as part of Chester Literature Festival. I read from, and chatted about my culinary historical mystery, 'An Appetite for Violets'. Next, I decided to test out some of the riddles from The Almanack on my captive audience. Each riddle was answered after some humorous guessing! 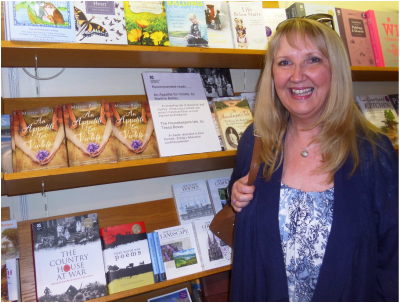 It was a pleasure to meet readers and sign books - and also give a short interview about my writing to a journalism student from the University of Chester. 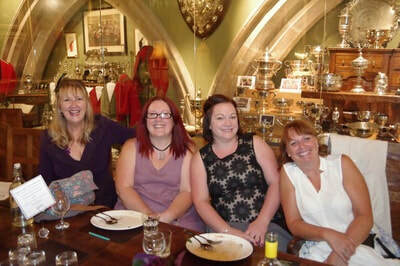 We all had a glorious time at our sell-out Georgian banquet at the historic Normandby Room, The Green Howards Museum, Richmond, Yorkshire. 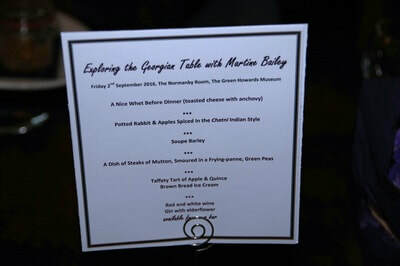 To open, I gave an introduction to Georgian dining and manners over our Potted Rabbit starter and after delicious Barley Pottage, Smaured Mutton and Taffety Tart, we had a quiz of ingenious 18th century culinary riddles. 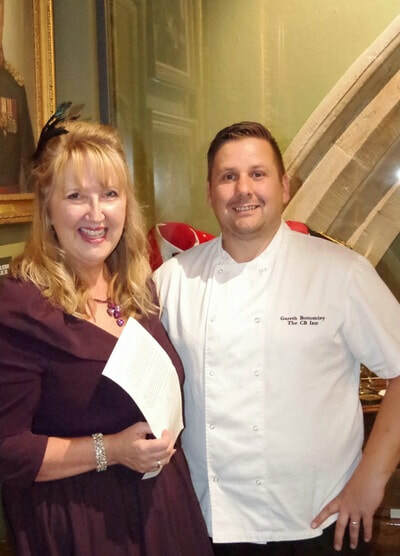 Many thanks to Executive Chef Gareth Bottomly and all the museum team. 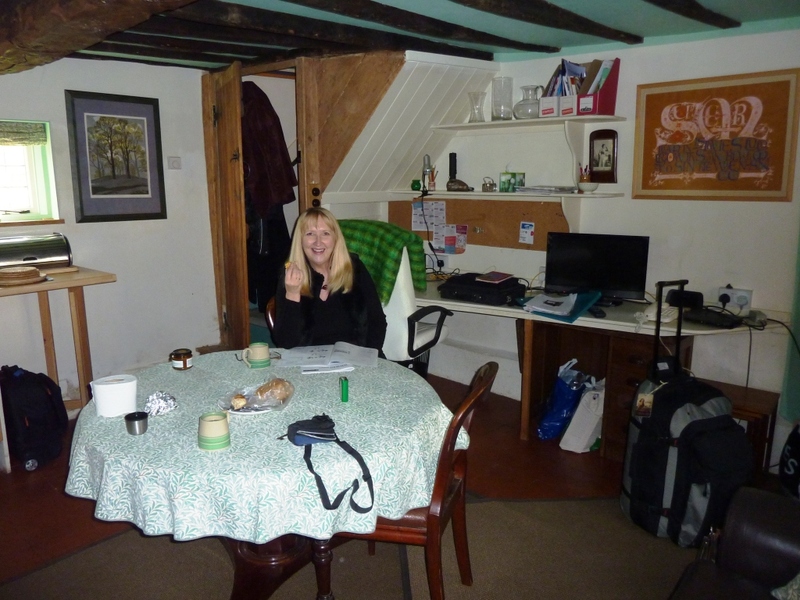 While writing The Penny Heart I was fortunate to have timely help from Sarah Hosking at the Hosking Houses Trust, who invited me to be Writer-in-Residence in 2013 and 2016. 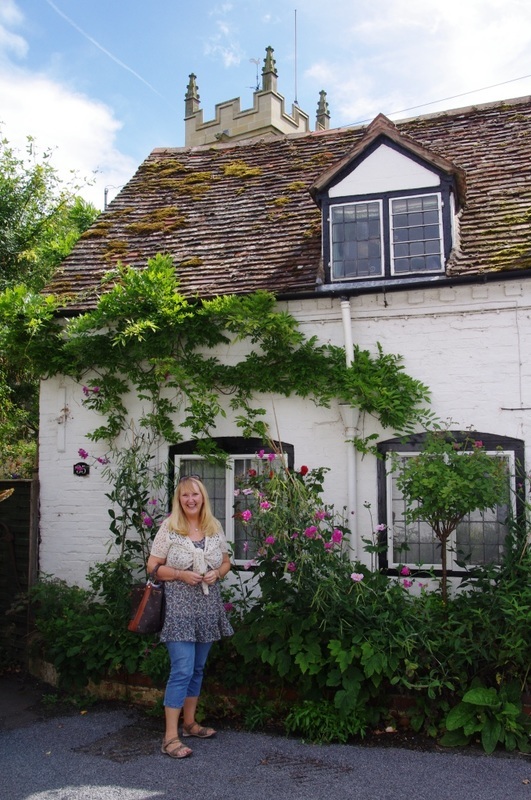 I lived at this tiny 17th century cottage outside Stratford-on-Avon and wrote from dawn to dusk, only taking breaks to walk the muddy fields with my head very much in 1792 at Delafosse Hall. The Trust offers remarkable support to women artists and can be contacted here.